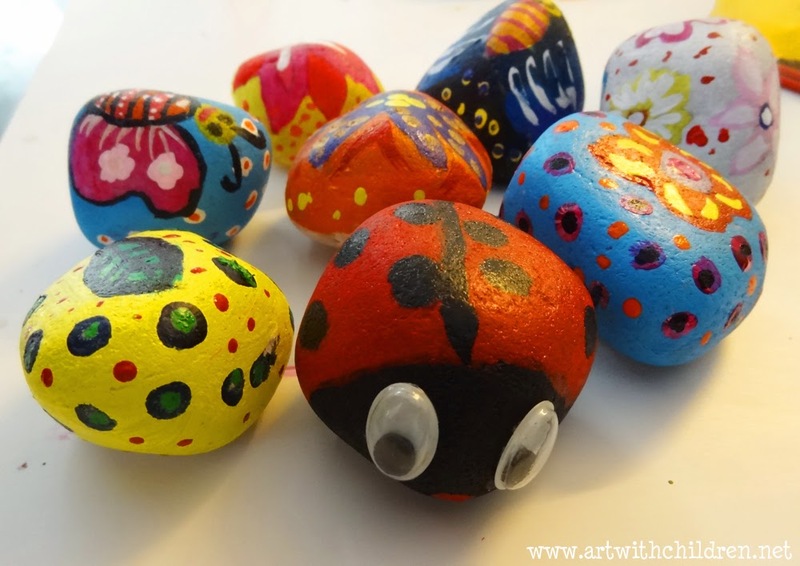 Stone painting is always a favorite anytime craft for the children. 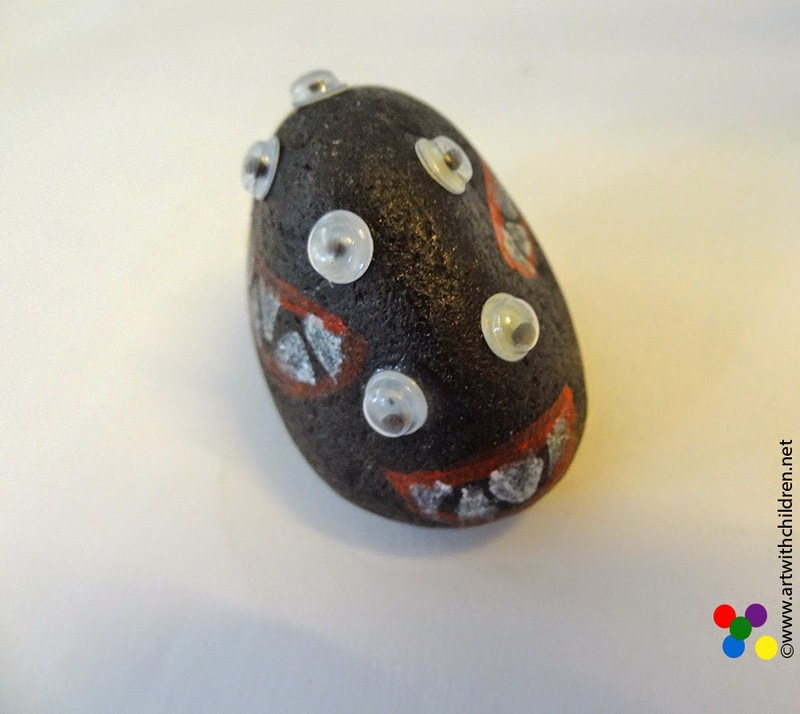 Whether they stumble across stones in the yard or find them on a nature walk, it is a great idea to collect and transform them into something interesting and fun during the holidays! The collected or purchased stones are washed clean and dried them before painting. 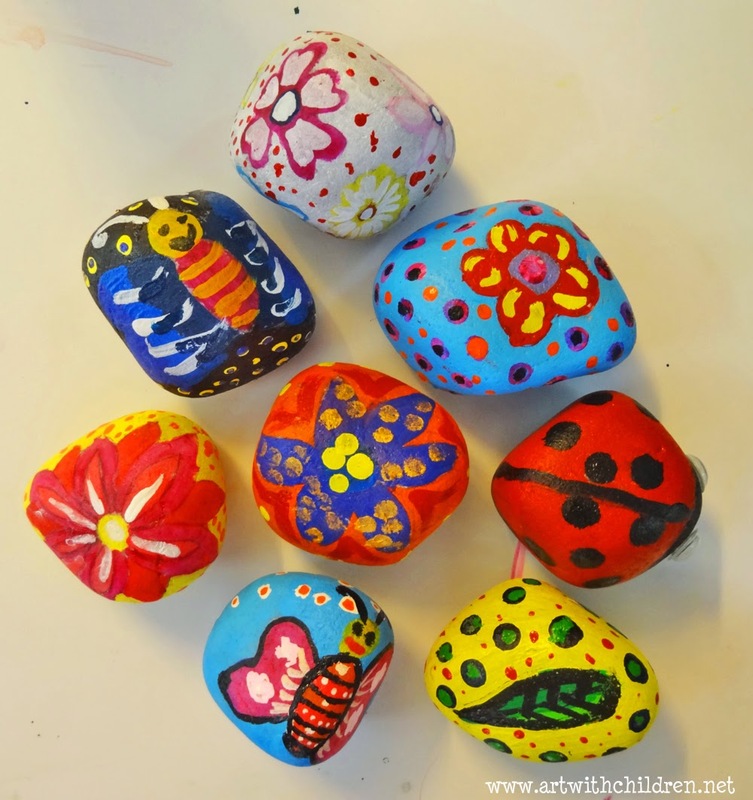 The children can sketch out the details on the stone using a pencil before painting or plan the sketch on a paper. 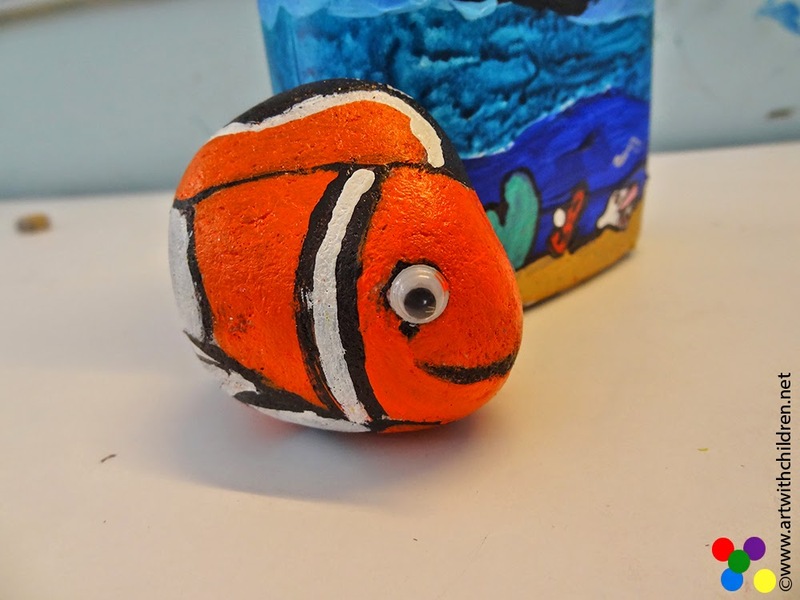 As seen below we have a cute little 'Nemo' or a clown fish with those prominent strips and lovely eyes. The googly eyes are great and they do enhance such crafts. 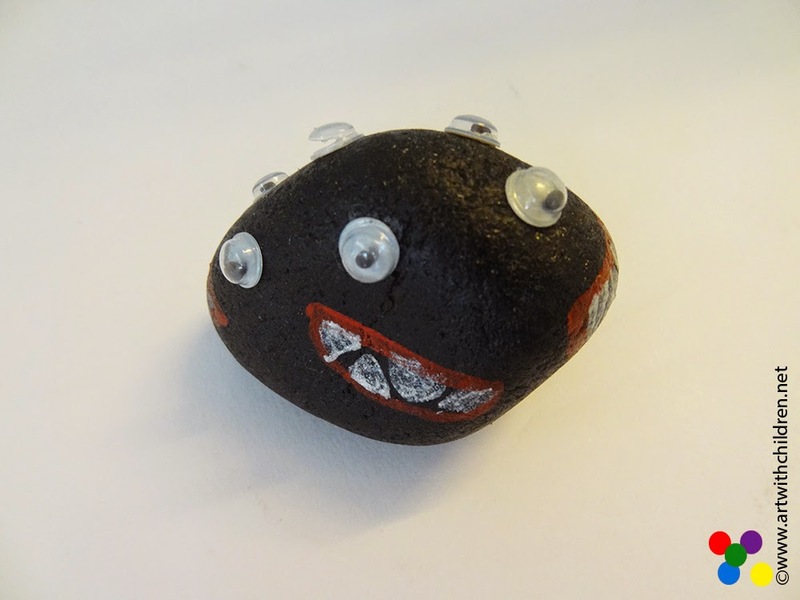 A friendly monster using black, red and white acrylic paint + many googly eyes!!! Isn't that a cool idea by a seven year old!!! Nice one for Halloween too! Gorgeous flowers, leaves, butterflies and lady birds! Children really enjoy painting these with their friends and groups. Kudos to the children who came up with such amazing ideas and turned those stones into such beautiful artworks!! The above stone paintings were made by children of various age groups.